It had to happen, Singapore's (and my) first 12 hour night marathon. 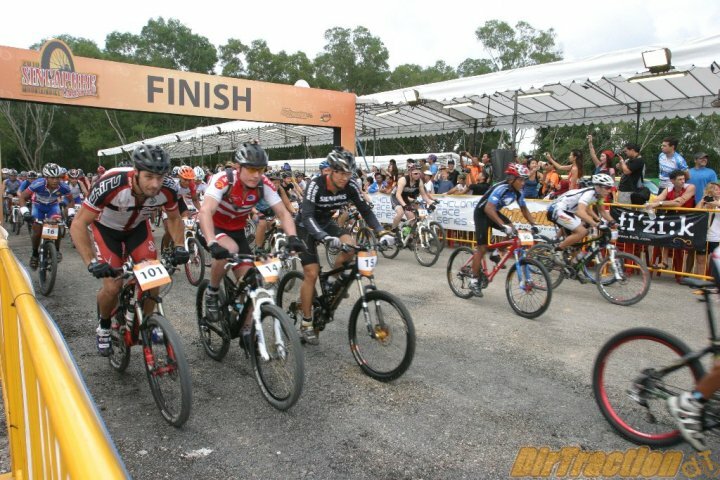 The rules were simple, to complete as many laps as possible within 12 hours in the Tampines Bike Park, an 8.3 km course with gruelling climbs, rocky trails, drops, switchbacks and some technical downhill sections. I mulled about the race and category for about a second and decided on the solo - what the heck, I wanted to see how my body and mind would take to this paid torture. My second task was to choose between the Scott Spark 10 and Commencal Meta 55, and decided on the latter for its more comfortable "all-mountain" geometry and 140 mm travel (as it turned out that was a wise choice). Training was sporadic, riding with Morten Hansen and Mike Maxwell on a couple of nights and weekends. 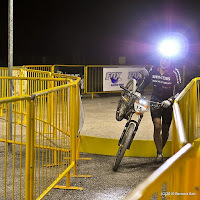 We discussed race strategies - nutrition (I survived on Hammer Bars, Endurolytes and bananas), hydration (alternated between with Hammer Heed and Perpetuem and consumed about 700 ml per lap) and lighting (I used the Ay Up V4 configuration). Heck, I even reduced my alcoholic intake leading up to the race, which was a big deal for me. Race day was a carnival, my Singapore 5-0 mates were present in full force to both race and support. Our logistics were amazing - team tent next to the feeding zone, full complement of tools, spares and bike stand, lots of food and drinks, battery chargers, and the ultimate indulgence ... a full-time masseuse and a proper massage bed (with the hole for one's head). The race commenced at 5 pm and my plan was to break the 12 hours into 4 quarters, resting and getting a massage in between. 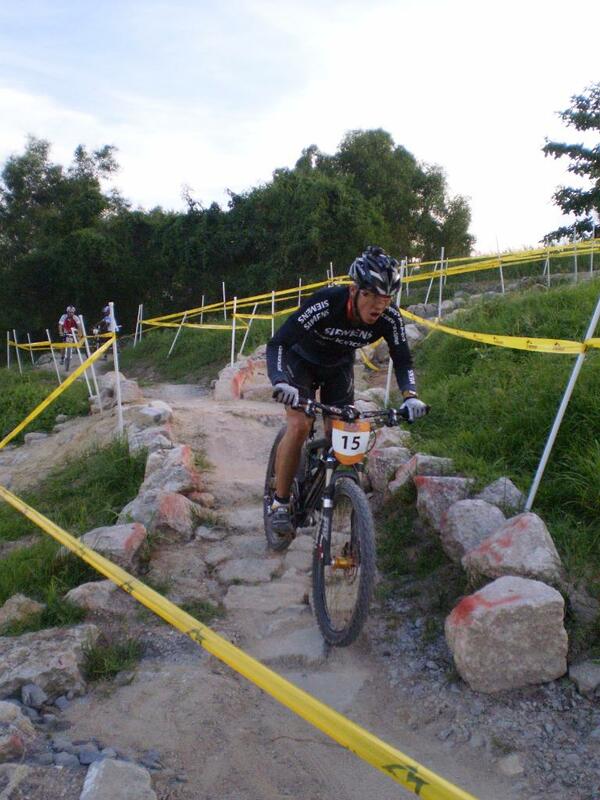 The race started well enough for me, trying to get into a rhythm and pace myself conservatively. However, adrenaline and testosterone has a funny way of conspiring to make us ride too fast at the beginning. My first and second quarters were fine, I felt strong and relaxed and the lap times were comfortably sub-30 minutes. Third quarter onwards was tougher (I guess it was also way past my bedtime). Needless to say, as fatigue and monotony set in, my lap times became longer and I even stopped at the top of a hill, laid down and almost slept for 15 minutes. My IB and calf muscles were cramping, and my lower back was sore. I soldiered on, and a strange thing happened towards the end. At around 3.30 am onwards, I felt like my second wind had come and I was actually riding faster and with conviction. Perhaps the thought of the end of the race around the corner motivated me. And finally ... I completed the race with 18 laps, overall position 15th from a field of 56 racers - I am really happy with this result. There were champagne all around for all Singapore 5-0 racers and supporters. And in case you were wondering, first position went to a Filipino gentlemen with 25 laps! Then again, this was a no-age class race and some of the riders were half my age (yes I know, consolation thought). Looking back, this was a fantastic event to savior. The organisation, atmosphere and camaraderie with friends. The pain, perseverance and glory. Congratulations to Singapore 5-0 riders Mike and Louise who took 2nd position in the Mixed Duo, and to the other racers as well (we had 2 Solos, 1 Men's Duo, 1 Mixed Duo and 2 Quads). Special appreciation goes out to Richard Herberth for being my pit stop race support - the hydration, tablets, food and even dispensing with the annoying seat post creak - he made my race! Good review!Your blog is full of entertainment and helpful information that can allure to anyone anytime. Continue posting! Congratulations to everyone who has been participated on the Singapore night time marathon. Cycle riding throughout a marathon is not an easy task, so along with the winner I appreciate all participates for showing great courage. Really it is a quality mountain bikes, please give me more information.